The months since our return to Israel have been very full. I’ve been blessed to show around several wonderful church groups that have visited. I’ve completed more classes for my Masters in Archaeology. I’ve scouted various new biblical sites. 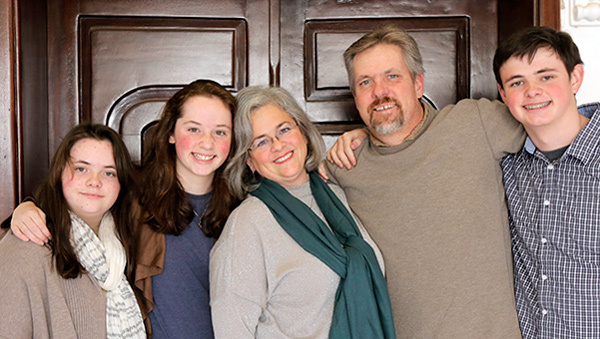 I’ve had adventures that come with living in a foreign country. In it all, I’m afraid the tyranny of the urgent has crowded out some other important areas, and I apologize for the long silence here on the blog! One of my goals for Sourceflix is to show you visuals of what the Bible is talking about. This opportunity presented itself to me again one day while I was driving through the city of Hebron. I spotted a potter sitting at his wheel and stopped to see his work. Watching his hands carefully molding the clay, his foot precisely controlling the speed of his turning wheel, his concentration in applying just the right amount of pressure to reshape the clay and his delighted satisfaction as his object took the shape he desired, I saw with a new clarity my life in God’s hand. He is the Potter, I am the clay. And what is the outcome of yielding myself to His care, His control, His concentration, His pressure? It is His delighted satisfaction! 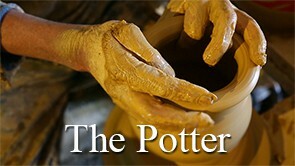 May you be blessed as you yield to the Potter, your Master Creator. Is this video only 3 minutes long? or is this a whole documentary? (how long is it?). It is only a video short…so just 3 min. Oh my what beautiful videos! So captivating and such a great visual for sharing God’s word. It brought the whole picture of following Jesus to light. Thank you! Such a powerful reminder. Thank you Joel for all you do. Good to see you back. I love your work! Thank you Joel and I look forward to your future posts! PS – You always have such great music to accompany your videos! I was also deeply moved in Hebron while watching the potter fashion each vessel, one after another, each unique, each seen in the potter’s mind’s eye before it ever was. I loved your film, and so very much love the reminder of who we are.